You guessed it! 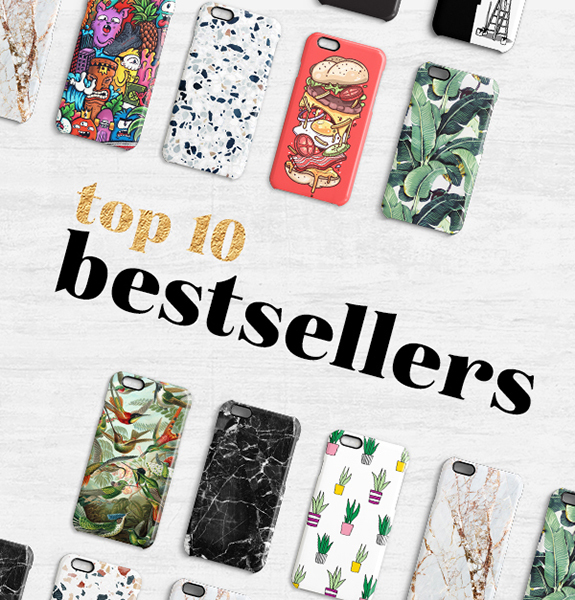 In our Top 10 bestseller collection we collect the 10 most popular designs from the last month. It’s an easy way to make sure you see the freshest designs we have to offer. Every month we plough through every order to check out what you think are the best designs. That way we compile this short list of 10 designs that represent the core values of CaseCompany: Extraordinary designed smartphone accessories available for everyone. Keep checking in to see a new selection each month. We keep adding great designs all the time so there no shortage of styles to choose from. Al our designs are available for our smartphone cases, iPad cases and laptop sleeves.